If you know me, at all, even from online, you know I had an awesome Fiat 500L that I loved. You can read the story of it here. It was named Luigi. And was super fun to drive. But then it betrayed me. In the fall, the AC started to not be as cool as it normally was. But with it being fall in Canada, I figured I would not worry about it until the spring. So spring rolls around and I decided I had better get it fixed. I book my car in to get the winter tire swapped off and the AC fixed at the same time. I figured it only needed to be recharged. Boy, was I wrong. Turns out it needed some kinda hose, that was gonna be about $600 for the part and another $400 or so to put in. But the most annoying part was I had taken it to a local garage and not the dealer, and the dealer was giving them, and me, the run around on what the actual part was. Such a nightmare. So I decided to get in touch with the guy who sold it to me, well, the sales manager, as the actual sales guy had moved on to a new job. I mainly wanted to check on my warranty. Well, turns out he didn’t work there anymore. Awesome. But he DID work for a new dealership opening up and could sell me a new car. I didn’t want a new car.I wanted my Fiat fixed. He also said he could look at what it would cost at their new garage. So, I figured I may as well see what he had to offer. 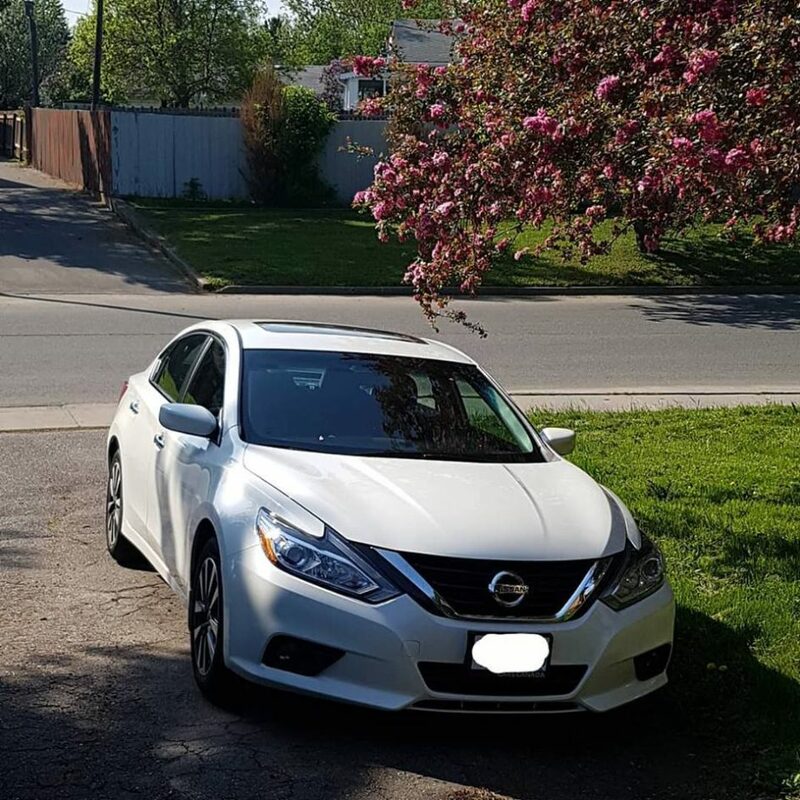 I went down, and test drove the car he had to offer, a Nissan Altima. I am not a fan of foreign cars (bad past experiences), but it was nice. I decided to research it, check reviews, and while I was doing that he let me know they could really help me out with extra warranty and discounts and make it so I was barely paying more than I was for my Fiat. It certainly was a sweet deal. And I caved. Honestly, if it hadn’t been for knowing him, Jake that is, and for all his extra effort, I wouldn’t have gotten a new car. I woulda just drove my Fiat with my windows down. But between the sweet deal, and the worry that other parts would go on the Fiat and cost me a lot, it was the right decision to make. And I really do love driving my new car. So I can honestly recommend Driven Cars Canada in Thunder Bay Ontario. And Jake Satten. Somehow he managed to sell me a car when I didn’t want one, and I am actually happy about it.